If the police believe that an individual has committed an offence they will usually arrest that person. The police cannot immediately arrest all people suspected of an offence because some, more minor, offences do not have a power of arrest. This means that before a person can be arrested for those offences a warrant must be obtained. Generally speaking, "serious" offences including theft and most types of assault, do entitle the police to arrest the offender without a warrant. The timing of an arrest will, of course, depend on the circumstances of the case. Some people will be arrested immediately, at the scene of the crime - others may be arrested years later after a lengthy investigation or when new evidence comes to light. 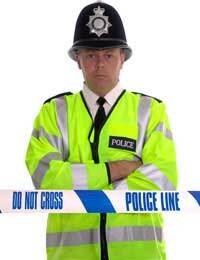 When an individual is arrested by the police they must immediately be "cautioned". The police caution outlines the individual's rights and in particular their rights regarding what they say after they have been arrested and how this may be used against them. Suspects used to have the right to remain silent; however, now a court is entitled to draw inferences from a suspect's refusal to answer questions. If the caution is not properly given the arrest, and any subsequent imprisonment, could be rendered unlawful. A suspect will usually be interviewed, under special conditions, soon after they have been arrested. Police interviews are recorded so that there can be no question of intimidation or manipulation. If a suspect is vulnerable - for example they are under 17 or have a mentally disability - they should not be interviewed without a lawyer or a "suitable adult" being present. The suitable adult may be a parent or other family member. Other suspects can ask to have a lawyer present - if so the interview will not go ahead until the lawyer can get there. An interview may also be delayed if the suspect is not in a fit state to be interviewed - for example if the suspect is drunk or hysterical. What happens next will probably depend on how much information the police have managed to gather connecting the individual to the offence. After the interview, if the police decide that no offence was committed or that they do not have enough evidence to connect the individual to the offence, they may be released. If the police decide that there is some evidence connecting the individual to the offence, but that they need to carry out more enquiries before they have enough information, he may be bailed to return to the police station at a later date. This means that he is free to go while the police continue their enquiries but he must come back for further questioning on the date specified. During this time the police may ask the Crown Prosecution Service (CPS) for advice about charging the individual. If the police believe that there is already enough evidence against the individual they are likely to charge him with the offence. There is a limit to the amount of time that the police can keep an individual in custody without charging them with an offence. In most cases the police must make a decision about whether to charge an individual within 96 hours. (Different rules apply to terrorist offences where a suspect can initially be held for up to 28 days without charge.) If, after that time, the police are still not sure whether or not the individual should be charged they will have to go to a Magistrates' Court to get permission to hold the suspect for longer prior to charge. Once a suspect has been formally charged with an offence he must be taken to a Magistrates' Court as soon as practicable. The Defendant may be released on bail before he goes to the court or he may be held in custody if the police think that he poses a threat or may try to escape. The final question of whether or not the individual will face a trial will be answered by the CPS. After examining the file on the accused, the CPS will decide whether there is enough evidence to secure a conviction and whether a prosecution is in the public interest.